Your skin doesn’t have to be in the midst of a freak out to enjoy some extra TLC, and a soothing mask can deliver a boost in hydration and radiance when you’re not in need of a targeted treatment to address a specific concern. Yet with that said, a calming mask is a must in times of skin stress, whether caused by irritation, sunburn or a professional treatment. The latest skin-soothing treatments to come across my desk are courtesy of Eau Thermale Avene, which has always done right by my skin regardless of its state at any given time. I absolutely love, love, love the new Soothing Sheet Mask because it gives my skin a visible pick-me-up in just 10 minutes (without having to rinse). 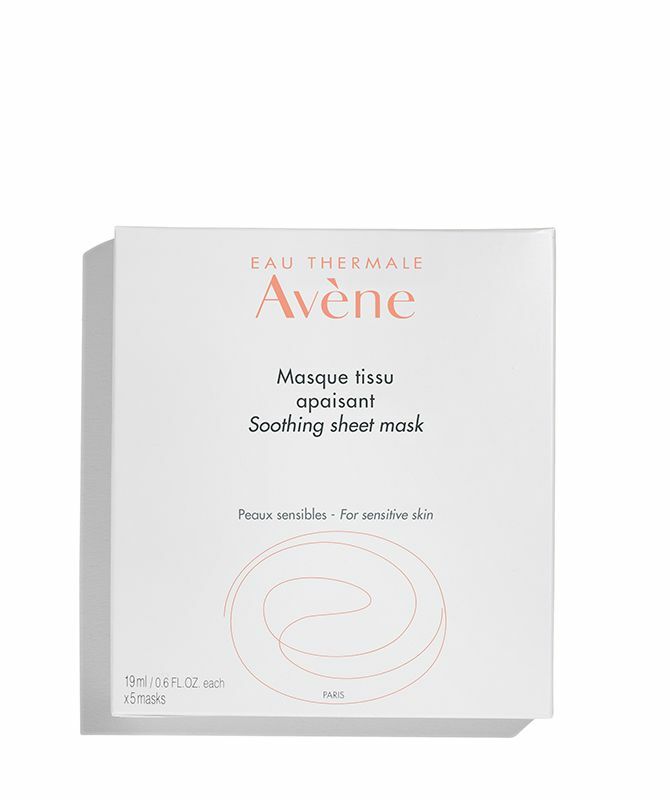 Infused with hydrating sorbitol and soothing Avene Thermal Spring Water, it also has a cooling effect that’s much appreciated when it’s warm outside (or when the hubs and I are battling over the thermostat). If you prefer a traditional cream-based mask, you’ll want to slather on the Soothing Moisture Mask. Its rich texture makes it ideal for times when skin is dry, and although you only need to leave it on for 10-15 minutes, you’ll likely want to wait longer before wiping it off. (There’s no rinsing required for this one, either.) Perfect for after a day of fin in the sun—or during an Arctic blast—you’ll be surprised how quickly it gets your skin back on track. And while we’re talking about Avene, I recently plowed through a jar of the Moisturizing Melt-in Balm. This decadent cream is so rich I thought it would take forever to absorb, but I was shocked at how quickly my skin drank it up—and how soft and smooth it was after one use. I suppose it’s the blend of shea, camelina and safflower oils plus glycerin and Avene’s soothing thermal spring water (no stinging after shaving my legs! ), and the scent is delicate yet absolutely divine.